Psoriasis is a chronic skin condition. It results from an autoimmune disease where your immune system generates excessive skin cells that concentrate on the skin surface. When the skin cells shed, they form red welts that are thick and raised and may have silvery scales. The bumps can be painful or itchy. Conventional treatments include injected, oral, and topical drugs that hold in check your immune system. Nevertheless, another form of treatment for psoriasis involves the sun. UVA and UVB rays make up the sun’s ultraviolet rays. UVB rays are more active at medicating psoriasis symptoms as they delay accelerated skin development and desquamation. Even though sunlight can benefit psoriasis, you should take care to protect yourself from sunburn. Psoriasis strikes light-skinned people. They are at a higher risk for sunburn and dangerous forms of cancer such as melanoma. You cannot monitor natural sunbathing in a medical setting, unlike phototherapy. Medicines you may be taking can also increase photosensitivity, increasing your risk of sunburn and skin cancer. Treatment starts with a 10-minute exposure at noon. You can add daily 30 seconds of exposure time. Put a broad-spectrum sunscreen to all areas of skin unaffected by psoriasis. Carry out natural sun treatment when the sun is more intense which is usually around noon. Remain outside for only 10 minutes at a time to reduce the risk of sun damage. In some cases, the sun not only helps improve psoriasis symptoms. It also makes the body develop additional vitamin D.
Phototherapy is a medical care for psoriasis that utilizes natural or artificial lights. You soak up the ultraviolet rays through your skin as you sunbathe outside, or by using a phototherapy lamp. Medication with an artificial UVB source is most successful when administered for a set time on a regular schedule. You may do therapy at home or in a skin clinic. Your dermatologist may administer UVA rays as an alternative to UVB. UVA rays are shorter than UVB and pierce through more layers of the skin. However, UVA rays are not as effective in clearing the signs of psoriasis. A medication called psoralen helps increase the effectiveness of UVA light therapy. You may take psoralen orally or make use of a topical medication on the afflicted skin ahead of UVA therapy to aid in the skin absorption of light. Short-term side effects include itching, nausea, and redness of the skin. This combination treatment is called PUVA. PUVA treats moderate to severe plaque psoriasis. Doctors recommend when topical treatments and UVB therapy have been unsuccessful. Firmer psoriasis plaques respond well to PUVA because they penetrate the skin more deeply. 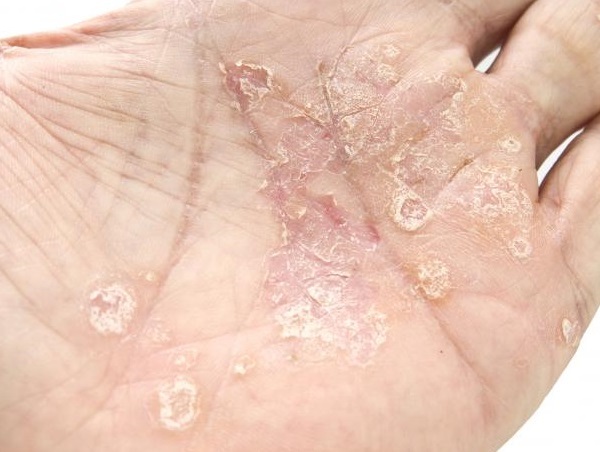 Hand psoriasis and foot psoriasis respond well with PUVA therapy. Vitamin D can aid in reducing inflammation in your body. Vitamin D, together with UV rays from phototherapy, can help in clearing or preventing psoriasis. Sunlight helps the body generate vitamin D, which is beneficial to your immune function and building strong bones. Sadly, few foods contain vitamin D.
This entry was posted in Phototherapy Lamps and tagged phototherapy, ultraviolet rays, uvb rays. Bookmark the permalink.